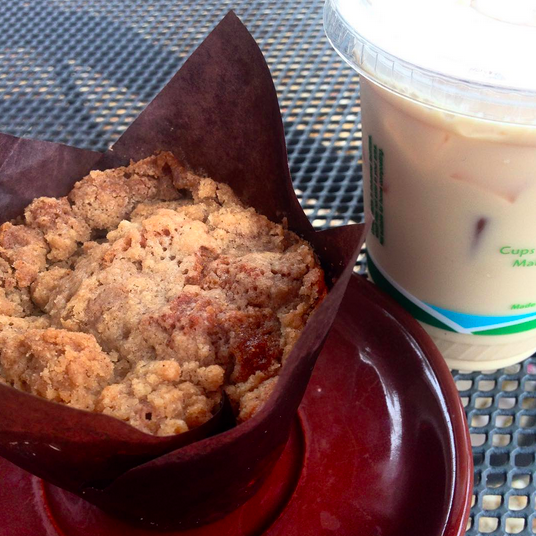 Bayou Bakery | Gluten Free D.C.
What I got: Gluten-free cinnamon muffin and an iced chai latte. The muffin was delicious, and the consistency was about as close to the real thing as you could ever hope for with a gluten-free baked good. An iced chai latte was the perfect way to round out my afternoon snack. Gluten-free friendliness: In addition to the muffins (flavors rotate, by the way), there were huge gluten-free brownie cookies that looked amazing. The gluten-free options were in their own display case on top of the regular case with a separate pair of labeled tongs. Looking online, it appears that they offer more options than were available the day I went, so I would call ahead if there’s something you’re looking forward to. As for the regular menu, there are seemingly-endless number of “sammies” to avoid, but there are multiple soup and salad options. 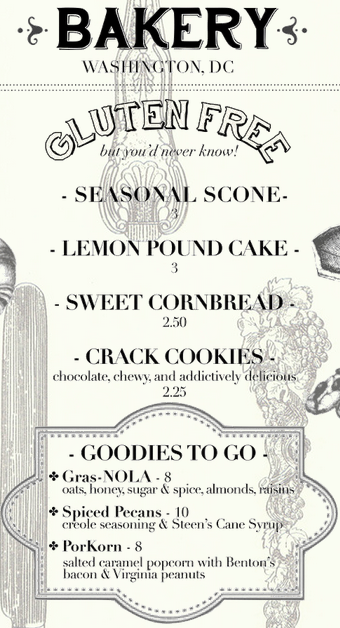 Unfortunately the classic beignets are filled with gluten. Pro tip: go on a Thursday and drown your beignet sorrows in a half-price bottle of wine. Overall vibe: The space is filled with fun touches that make you feel like you’re really down south. Everything from the music to the lights to the backyard porch vibes in the outdoor seating area is incredibly inviting. The restaurant is a block away from the Eastern Market Metro stop, which is a nice perk if you’re willing to make the trek.